If you are requested for an exchange of your product, then Kay Botanicals request the customers to return their package of Kratom within 30 days of time. 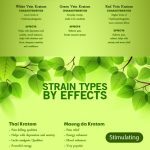 Kay Botanicals would not accept the exchange of any products that are having more than 80% of Kratom product has been used. Kay Botanicals will not take charge for the return shipping fee for any product of Kratom. For returning the package, one should have to return it within the original package provided by Kay Botanicals only then, the order exchange will be completed successfully. Kay Botanicals would not accept the products that are questionable on their exchange upon inspection of their products. If the item is not in its original condition after receiving back from the customer, then Kay Botanicals would decline the exchange of the product. To complete the return of the product, we request a receipt or proof of Kratom product purchase. Once your order of Kratom has been successfully placed with us, it will take about 4-7 business days for processing your order by us. After completing the process, we will ship the order you and will provide a tracking number through an email and message for you. The order will be delivered within 5-6 business days. Refunds, Returns, and Cancellation on any products will be handled through email or on call. Once your order which was sent return has been received and inspected, we would send you a confirmation email as a notification regarding the successful return of your item. We will also send you a notification regarding the approval or decline of your refund. Upon the approval of your returned item, the refund will be processed and the amount will be credited to you depending on your mode of payment within 2-3 days of time. If you have not received your refund, then you should have to check your bank account again, else contact your credit card company regarding it, sometimes it might take time for refund credit on your account. Even after checking everything yet you have not received the refund, then do contact our customer support. It is unfortunate that we do not provide any refund for the sale items. Refund is available only for the regular priced items. We offer the reshipping for the items that are defective and damaged upon delivery. If you want to exchange at the same time, then do send us an email. To return the product, you are requested to mail your product to us. You can find the mailing address at our contact us page. We do not offer any concession for returning the product, it is you who have to pay for shipping the product to us. All those shipping costs are non-refundable. The cost of return shipping will be deducted from your refund amount, then only it will be received by you. The time taken to exchange your product might take some time, it completely depends on the place that you live in. If you are returning the item that is bought over $75, then you should know about the shipping service that you choose to return it. We do not guarantee that we will receive every product upon returning to us.